Nicholas grew up in an Eichler and still lives in one. He knows Eichlers in and out. Nicholas has become the area's trusted source for any Eichler related advice. If you need any help with your Eichler home, trust an Eichler expert. My belief is that Eichlers are a direction, not an end point. I have studied extensively the work of the Eichler architects: Anshen and Allen, A. Quincy Jones, Claude Oakland, along with work by their peers: Felix Koenig, Bill Krisel, Beverly David Thorne. Having done that, I believe that I understand what they were aiming at, and often falling short of in the work, due to the limitations of the economics, available materials and technologies of the ‘50s and ‘60s. So I attempt in my designs to be true to what I perceive as the spirit of those visionary designers. DRACO Eichler remodels have been continuously selected and featured on the San Mateo Highlands Eichler Home Tour ( eichlerhometour.org ). Three DRACO projects were featured on the May 2017 Eichler Home Tour, and of the ten homes selected for the previous Eichler Home Tour in 2014, DRACO represented four of them. The Modern Architecture & Design Society (MA+DS) has selected DRACO's Sunnyvale Butterfly Eichler for the 2018 Silicon Valley Modern Home Tour. Atrium Eichler in San Mateo Highlands: Kitchen remodel featuring dramatic waterfall-edge counter island, and custom cabinetry. As featured on the Eichler Home Tour 2017. 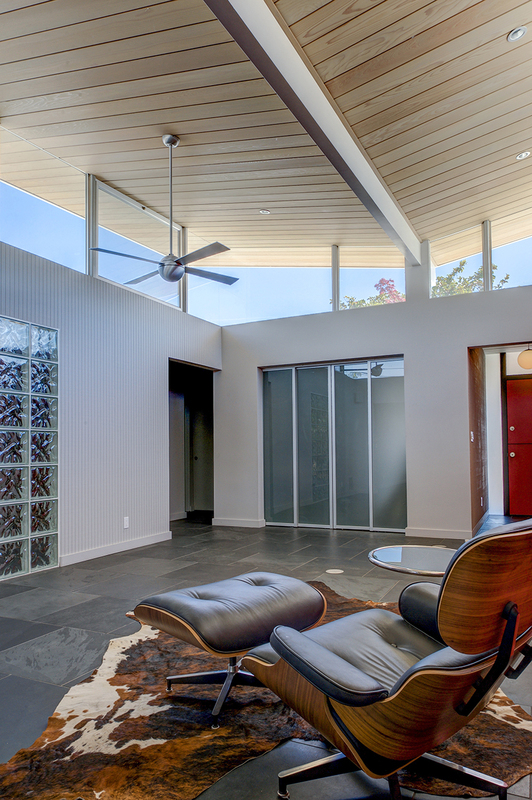 Butterfly roof atrium Sunnyvale Eichler: A complete remodel. Featured on the Modern Architecture & Design Society (MA+DS) Silicon Valley Home Tour, 2018. 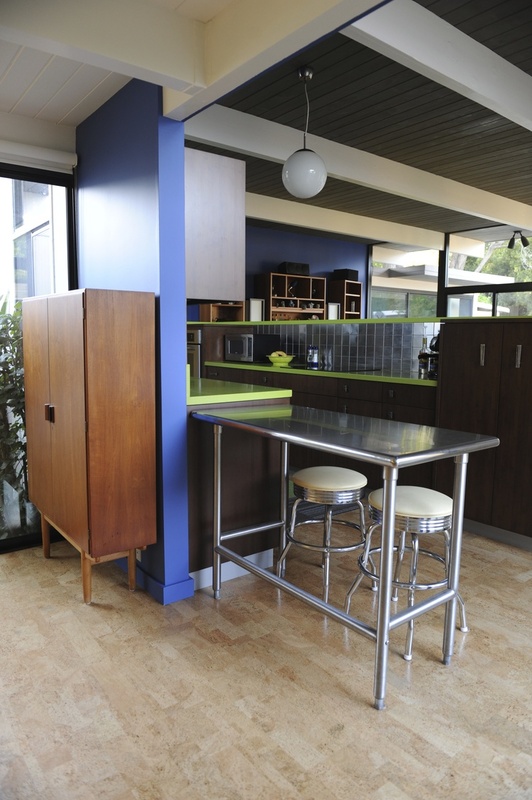 Yorktown, San Mateo Highlands - a minimalist kitchen remodel for a rare 2-story Eichler. Featured on the Eichler Home Tour, 2017. 2260 Allegheny, San Mateo Highlands: complete remodel retaining the original footprint, featuring a bold color palette, and cork flooring. Featured on the Eichler Home Tour, 2014. Highlands Eichler: whole house remodel and expansion, featuring polished concrete floors. As featured on the Eichler Home Tour 2017. San Mateo Highlands Eichler: Front Entry and Glass Privacy sliding wall. Featured on the Eichler Home Tour, 2014.